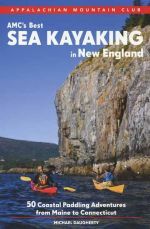 The fourth edition of this popular guide to more than 2,000 miles of paddling routes in southern New England. 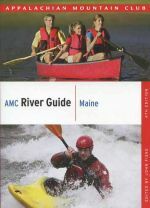 Nice used copy of this older edition (1983) guide to navigable rivers and streams in New Hampshire and Vermont. New Trails Illustrated map of Baxter State Park and Mount Katahdin. Published by National Geographic. A newly revised waterproof recreation to Massachusetts' popular Cape Cod. 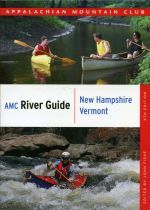 New second edition of this recreational guide to the White Mountains of New Hampshire. Brand new waterproof trail map to northern Maine's Baxter State Park and spectacular Mt. Katahdin, northern terminus of the Appalachian Trail. 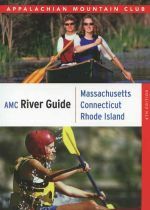 The new official guidebook to the 740-mile Northern Forest Canoe Trail across New York, Vermont, New Hampshire, Maine, and the province of Quebec. A useful map to the Northern Forest Canoe Trail in northern New Hampshire. Covers the route from the Connecticut River east to Lake Umbagog. Follow the Northern Forest Canoe Trail from Lake Memphremagog to the Connecticut River with this full-color waterproof map. The essential map for canoeing in the Rangeley Lakes region of Maine. This is Map No. 8 in the Northern Forest Canoe Trail map set.